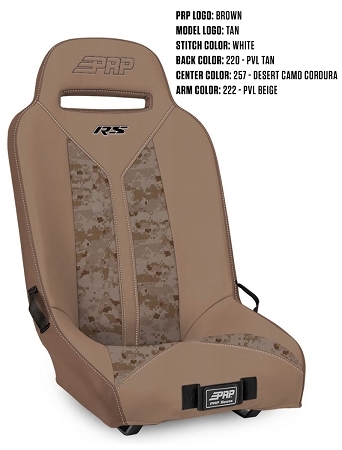 Race inspired styling and lower sides for getting in and out of your UTV easier. Choose your custom colors below. Custom built and shipped in about 3 weeks. 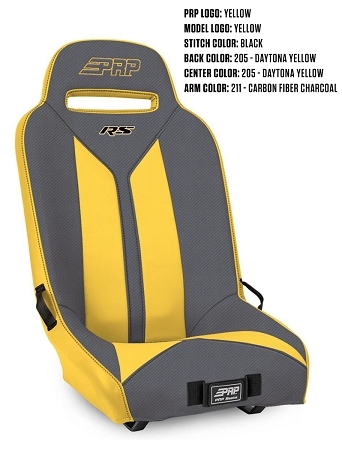 The all new RS Suspension Seat is one we’ve had in the works for a while. We’ve heard from a lot of people that they want a seat with lower sides for getting in and out easier. Combined with more width in the shoulder area, the RS is perfect for bigger riders or those who are just looking for something which “hugs” them less. 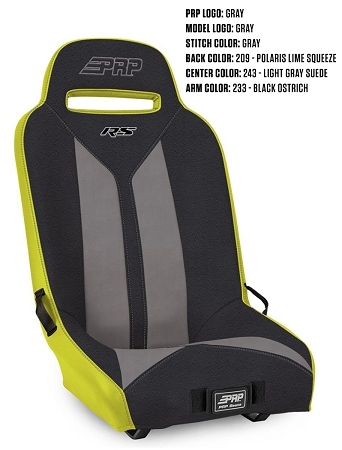 Our wide headrest opening and side loops keep your harness in place and the multi-density foam and suspension construction keeps you riding all day long. Special customization options include stitching throughout and the center stripes.